Have you ever thought of using pictures and animation to make a beautiful PowerPoint presentation? The two samples below illustrate how different elements such as icons, photos, map and content were used to produce a wonderful PowerPoint animation as well as demonstrate how business diagrams were used in a PowerPoint presentation. In the first sample the animation shows pieces of business diagram being assembled in a PowerPoint deck. The diagrams were originally created by our PowerPoint presentation design artists and finally combined and formatted to produce a complete PowerPoint deck for our business consultants. In the second sample our customers sent us photos that were taken during their travel/journey across Asia, the Middle East and Europe. Our job was to develop a nice presentation using the photos. 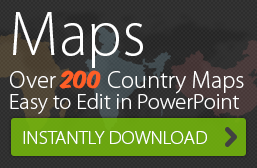 In order to make the presentation look interesting our PowerPoint expert decided to make use of the PPT animation feature and added a world map along with a music background to it. Whether you need simple presentation designs or complex corporate process flows animated, we can do it all. Even better, we are FAST! 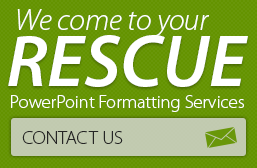 Contact us for PowerPoint presentation design services.